Homesickness is defined in the dictionary as “longing for home and family while absent from them” (Merriam Webster). But dig a little further, or surf a few pages over, and you will discover that “homesickness” is now a diagnosable disorder, according to the DSM, consisting of both “depressive and anxious symptoms, as well as withdrawn behaviors and difficulty focusing on topics unrelated to home.” (Wikipedia). There exists both “CHS”- Chronic Homesickness, which seems to correlate to individuals with passive aggressive behavior, and “EHS” Episodic Homesickness, which seems to correlate to sadistic behavior. It becomes exponentially more complicated, the search results vary, from 12 year olds, off to camp, to soldiers, off to war, and a myriad of other circumstances in between. There is no dearth of adjectives to describe the feelings of homesickness, ranging from melancholy to despair. I would venture to add, in my own words, that what co-exists with homesickness is an inconsolable restlessness that will not subside until one is reunited with ‘home’- wherever and whomever that may include. But what happens when the union/reunion occurs and the feeling still won’t subside? “Home’s where the heart is, and my heart is on the run…” I heard these lyrics many times, growing up, both live and recorded by my cousin Tom Intondi, a folk singer and teacher. I interpreted them to mean, home is wherever I go. I am a Cancerian, we are notably home-bodies, but we can also carry our homes with us, set up shop wherever we are, creating a welcoming nest. “Not all those who wander are lost”, another oft-quoted line, from a Tolkien poem, spoke to me as well. I come from a stable home, I had a nuclear family who loved me. But within in me, there was a restlessness to explore the world, to explore other people, and I was safe and free to wander, taking my home with me, like a turtle, in my heart, wherever I roamed. And without me, my home was never the same: not better or worse, just different. In order to find threads of my self, I followed the strands of the web of my paternal and maternal ancestries, across the ocean, to their original homes. To my young adult self, my parents seemed alien, of course, and their parents were gone, so what better excuse than to strike out on my own, fly over the sea, from these islands on which I was raised states-side, to the mother lands. I spent a summer in Ireland, from whence my name comes: Kiera or “Ciara” in Gaelic, means “dark haired” (true to my self) and Nagle means “nail” (as in “hammer and”). That summer I lived at Annesgrove, in a stone house c. 1700s, in Castletownroche, County Cork, Ireland. Not far off was the convent and birthplace of Nano Nagle, Foundress of the Presentation sisters in Ballygriffin, currently an organic farm and spiritual retreat. I had some moments there, in the deep cold damp, where I felt something close to home, a familiar longing, a mystical something, connected simultaneously to both the ground and the ether. Especially at Newgrange, I could feel the vibration of a connection, through the stone, to the spirits of those who lived before me, traced back through the line of my father and his parents, to that particular piece of earth. But nothing so strong as to hold me there, certainly not the cold damp that never seems to let go. It was warmer in Italy, another summer. The food was better, the art more prolific. My senses were heightened there. I learned how to make beautiful things there, that summer, I saw so many beautiful things, I heard the tinkling of church bells and smelled otherworldly aromas and tasted the most delicious flavors. But for all the churches I entered and votives I lit, I did not feel any more illuminated there either. Maybe, for a moment, with my toes in the Mediterranean, cleansed by the purity of the salt, and touched by the great leap of faith and feat of chemistry required by the notion of transubstantiation, I could understand, at least, a bit, of where my mother’s people were coming from. “Before the pipe came to us, we were Ikce Wicasa. When that pipe came to our people, they talked it over, and the ones that decided to accept that pipe became Lakota, Dakota, or Nakota. The others remained Ikce Wicasa. If you pick up the pipe, you become Lakota. If not, you are Ikce Wicasa, an ordinary man or ordinary being. Lakota is an expression of addressing a relative. If I address you as a Lakota, then I’m saying that you are my relative in that road of praying with the pipe.”… Lakota is not just a name; it means more than that. It means acknowledging a relative. It means you have accepted a way of peace and harmony within yourself and with all creation and you walk that road. It helps to think of the ancestors in a more general way sometimes, I think. It helps me to think of my grandmothers not only has the mothers of my father and mother, who I never knew, but as all the spirits of the women who were born, lived and died before me, so that I could be in the world as I am right now, and who are still available, though without bodies, to assist when I beseech them, through prayer, for their strength and wisdom. So I have Irish ancestors, and Italian, and Lakota, and probably many others through the lifetimes I’ve lived and the ways in which we are all interconnected via the meta-web of being. So, like my Italian ancestor Columbus, I did not discover, but I stumbled upon something which existed, and I took from it all the experiences I could while I called it my home. I gave, and continue to give back, as much as I am able. Like Columbus, though I called the new place home for awhile, I had to come back eventually, because all things come full circle. Because I wouldn’t have understood the experience of the west without balancing it with that of my eastern home once again. Funny, I never felt homesick for NY when I lived out west. Maybe because I knew I could always come home, come back east. Now, though, I feel homesick for the heartland, from time to time, perhaps because I feel I can “never go back”, at least, never to live the way I did during that time, when I ate breakfast, lunch and dinner with the spirits, and work was an after-thought. I will always be connected there, through the web of my heart and my love for my son, who was born there. Will he ever/always be homesick for a home he never knew? While my love travels, and I am home, I am homesick for him, but how? If I am here, in my home? Because home is where the heart is, and though part of my heart is here, with me and my boy, part of it is with him also. 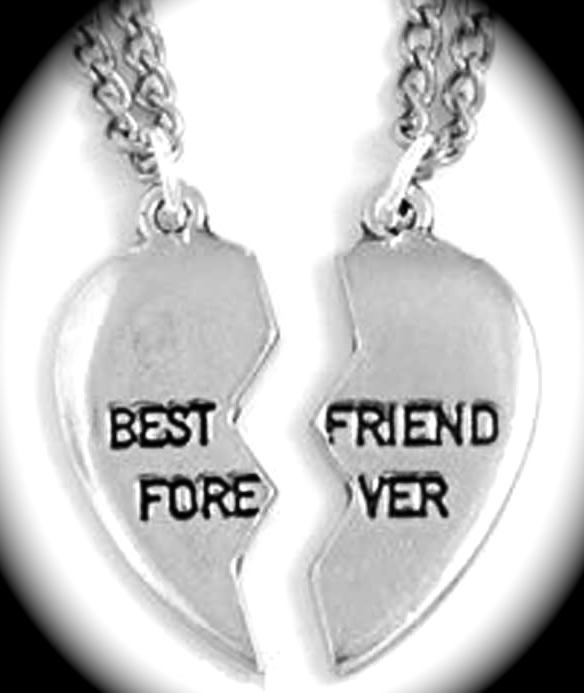 The pieces will join again, like one of those half-heart lockets you would share with your BFF when you were a kid. The point is, to bring the halves together again. To make the pieces fit. If it’s about the journey rather than the destination, than we can ride together, in tandem, taking turns pedaling and coasting, that way, it’s a sweet ride, and we are rolling with it, over the earth and through the ether, loving in all seven directions, feeling the homesickness may have a temporary cure, or at least there is a reference for each of us, to a time, when, just for a moment, we don’t feel the chronic longing, the restlessness, the moment when you feel at home, and everything is right with the world. DSM-III-R and ICD-10 personality disorder featu… [Br J Psychol. 1998] – PubMed – NCBI. Heart on the Run – Tom Intondi, Frank Rossini. All that is gold does not glitter – Wikipedia, the free encyclopedia. Nano Nagle Birth Place – Organic Farm. Newgrange | Built heritage | Brú na Bóinne | World Heritage | World Heritage Ireland. Life’s Journey-Zuya : Oral Teachings from Rosebud by Albert White Hat Sr. / Birchbark Books & Native Arts.